Happy Thursday, PinkWhen readers! It’s Justine from Cooking and Beer here to share my monthly recipe with you guys! 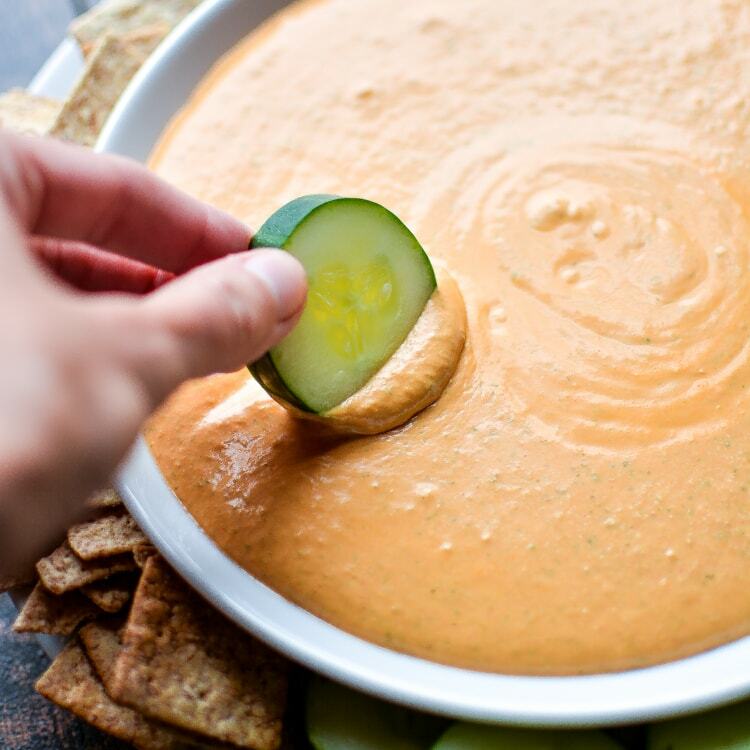 This spicy roasted red pepper dip is one of our favorite recipes to serve as things start to cool down in the fall and football games begin to grace the screens of our television sets every Saturday and Sunday (and Thursday … and Monday). 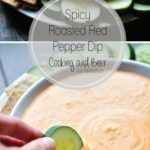 A game day must-have, this spicy roasted red pepper dip will keep you out of the kitchen and enjoying the game. Some chopping and five minutes is all that stands between you and the most addicting appetizer recipe EVER! So I definitely haven’t been contributing to PinkWhen long enough for you guys to know how OBSESSED my family and I are with football. We’ve always been diehard NFL fans, and when my sister and I went off to college, we became just as big college football fans. Now that I live in Wyoming, college football reins supreme. This could be because there is no other sports team to root for. No basketball. No professional football. No baseball. It’s all about college football here, and I’m so not sad about it. So when football season rolls around, I’m all about posting easy game day recipes. I think if you were to go back in the Cooking and Beer archives, about half of the recipes in the fall would be appetizer/finger food-related. I don’t know about you guys, but when it comes to game day recipes I’m all about easy and quick. I don’t want to have to be standing the kitchen during the entire game. I like recipes that can be either made ahead or made in a flash, and this spicy roasted red pepper dip has both! Into a blender goes a blend of cream cheese, sour cream, Greek yogurt, jarred roasted red bell peppers, feta, cilantro and a jalapeno for some heat. Ground cumin and some other essential seasonings bring everything together. 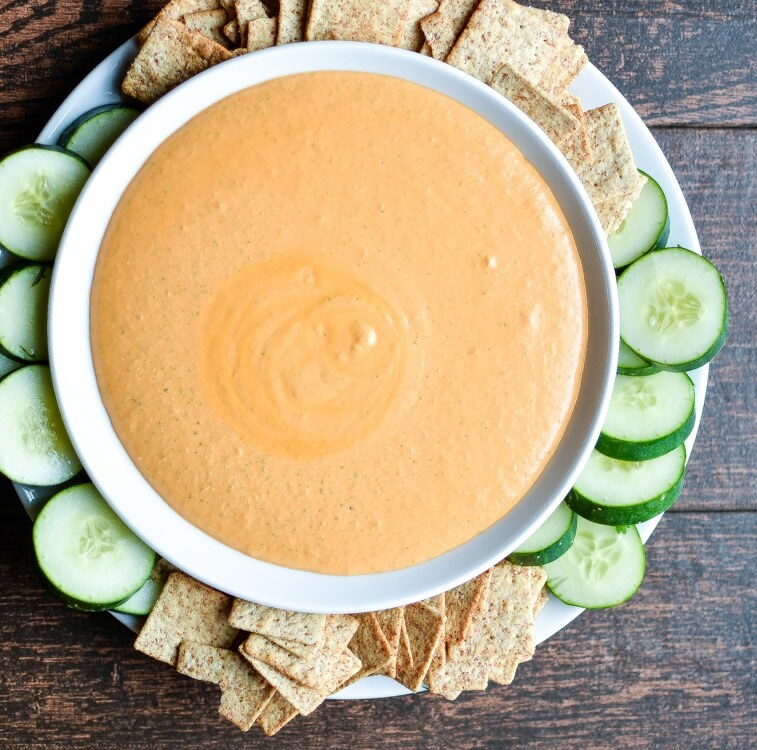 Blended until smooth and creamy, and this spicy roasted red pepper dip is on the coffee table in 5 minutes. I like it best served with fresh veggies and wheat crackers. Add an extra jalapeno for some added heat! 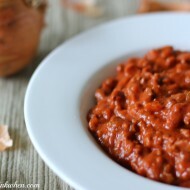 Recipe for this spicy roasted red pepper dip is below! Serve at your next game day shindig and everyone will love you forever. 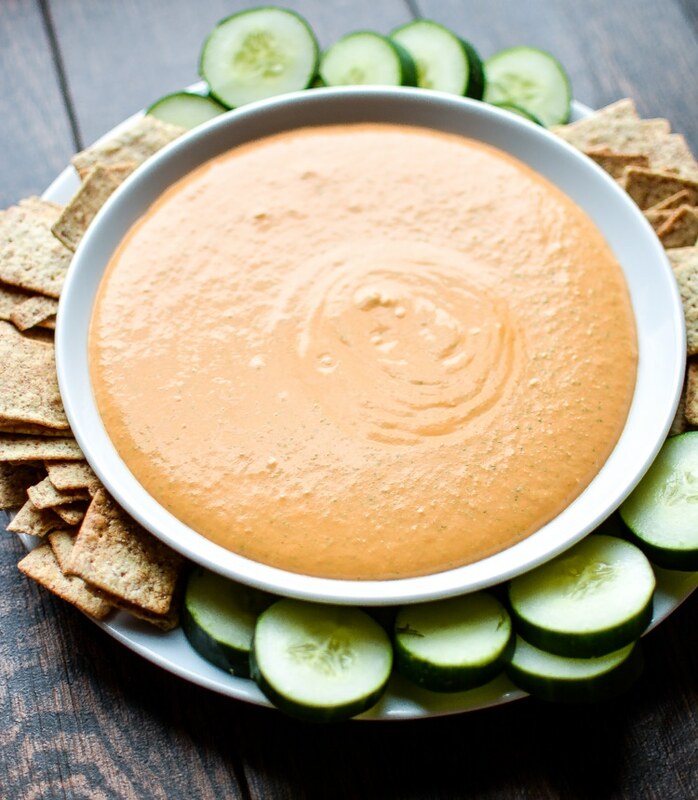 This spicy roasted red pepper dip is one of our favorite football recipes. For serving: sliced cucumbers store-bought crackers. 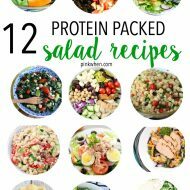 To the pitcher of your blender or bowl of your food processor add all of the ingredients except for the cucumber and crackers. Serve with sliced cucumber and crackers. I hope you guys love this recipe for spicy roasted red pepper dip. 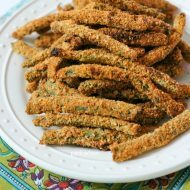 It’s one of our favorite appetizers to serve at dinner parties, tailgates or date night in! Have a wonderful weekend, and I’ll talk to everyone next month! This looks absolutely delicious! Thanks for linking up with What’s Cookin’ Wednesday!